Thread: Money, how much money. 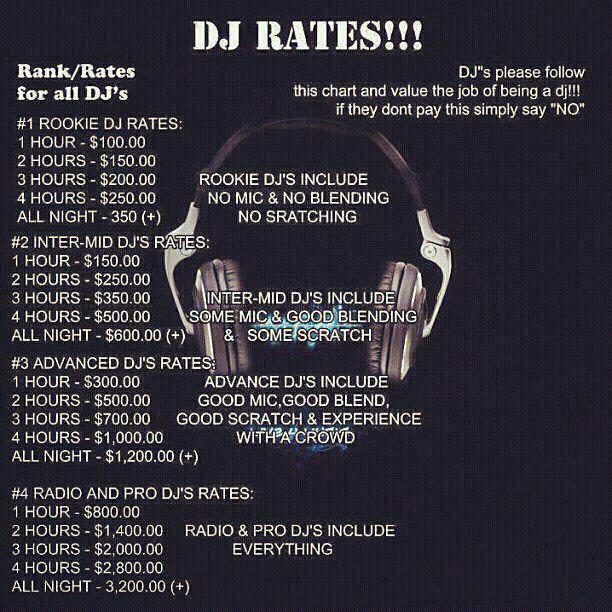 How much money do make as a DJ? as in per gig, no more info. still, no reply mandatory, this is a really rude question. Before I say anything, I DJ for a hobby - not as a main line of employment. When I spin mashups/bootlegs I do it for free because I love it. I actually have refused money, and instead got comped drinks. In my mind, once money gets involved DJing loses its fun. DJing music, or putting together mixes that I don't care about, that's a different story. I've made $300 multiple times for mixes. $0 to $30,000 or so. what is going on with all the 14 year olds trying to make money from djing? the majority of gigs for working djs are at bars, clubs, or the mobile route (i.e. weddings). pretty much none of those venues are going to want a 14 year old as the dj for many reasons including alcohol, liability, and experience. now, i'm sure there are cases where a teenager was juiced into these kinds of gigs, but it's very rare and they usually know a bunch of people to get them in (or are very, very good). if you want to dj at local schools, ask your school and see if you can work something out with them. do you have any proper mixes people can listen to? Last edited by squidot; 08-05-2012 at 06:01 PM. This is the most awesomest mindstate regarding gigging. I try to go for at least a compensation for costs made. I've got a resident gig at a local ice rink and I can say it gets frustrating when money comes into the equation. But every time I go out and play I get the pre-gig jitters. Seeing people happy. That's the fulfilling part. Spread yourself by talent and your mixes. If you think a logo is important when starting out like that, you're honestly no better than any other commercialized sellout dj. Spin for the grin, not the green. Personally I feel that this chart is a little high, but it also depends on the market you are trying to work yourself into.